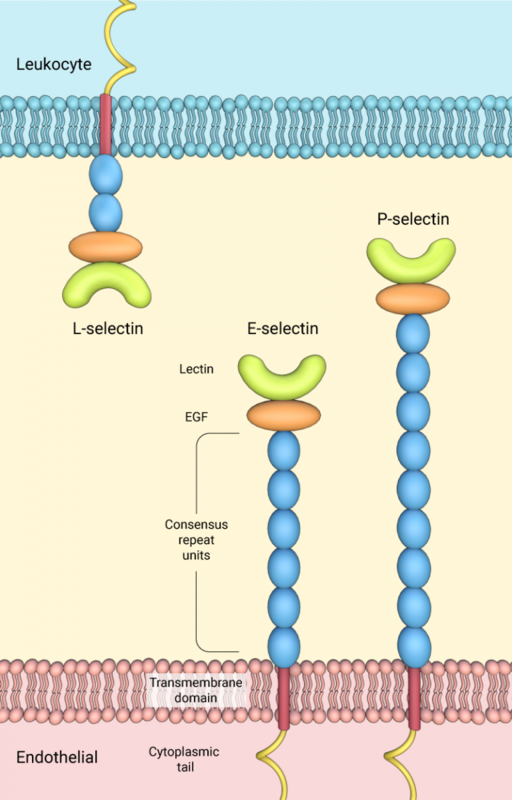 Members of the selectin family, E-selectin (endothelial), L-selectin (leukocyte) and P-selectin (platelet), all of which bind to fucosylated carbohydrates . For example P-selectin on leukocytes binds PSGL-1 (P-selectin glycoprotein ligand-1) on endothelial cells. Whether an adhesion is formed between two cells, or between a cell and its substrate, alterations to the actin cytoskeleton occur. This is because the adhesion complex must connect to the cytoskeleton in order to facilitate its function. Several proteins help facilitate this process including Ena/VASP which associates with components of the Arp2/3 complex-mediated actin assembly module. These are required for actin dynamics at sites of cadherin-cadherin binding . The association of Mena and VASP may be modulated by signal-mediated phosphorylation (reviewed in ); VASP phosphorylation prevents it from interacting with other cadherin-complex proteins (e.g. zyxin) . 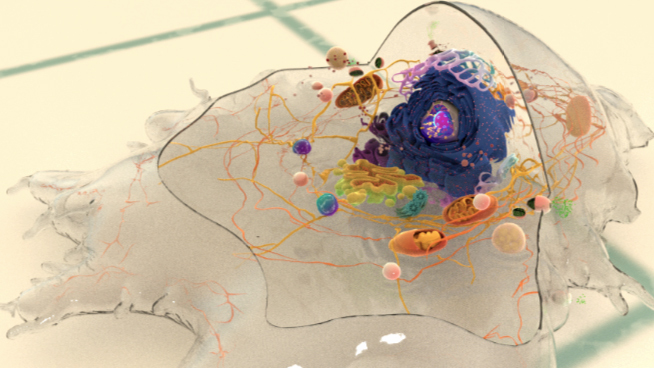 Other proteins located at sites of cell adhesion include the adaptor proteins which connect the adhesion molecules to the cytoskeleton and signaling molecules. Examples include parvin, paxillin, talin, tensin, vinculin and zyxin.